Castle sim Stronghold is almost all UK developer Firefly Studios has ever known. The series began in 2001, and since then 10 games have borne the Stronghold name. 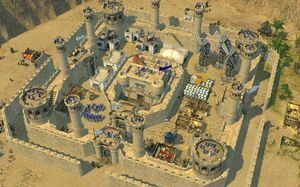 In 2002, Stronghold Crusader was a slight RTS variant of the core series’ base-building formula, and now 12 years later its sequel is almost out. Matt caught up with Firefly PR and marketing manager Nick Tannahill to discuss the changes to the studio since the first game's release. Q: It’s been a long time since Stronghold Crusader 1. Why have you chosen to revisit that particular branch of the Stronghold tree now? Nick Tannahill: You have two kinds of Stronghold fans: ones that love the simulation, and those that are bigger fans of the strategy RTS. The main Stronghold series are a bit more focussed on the simulation. Crusader is a bit more focussed on RTS, a bit more focussed on skirmish. 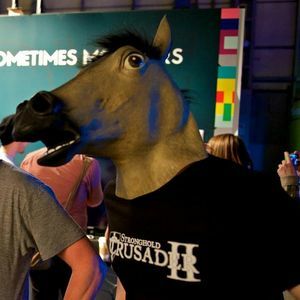 We came to this decision about three or four years ago where we realised that on-balance, Crusader was probably the fans’ favourite game. People liked it for tiny things like Strongwall – the ability that prevents regular troops from taking down castle walls. Then there are big things like its skirmish mode, voice acting, and the game’s speed. Q: What are the downsides to self-publishing? Firefly PR and marketing manager Nick Tannahill. Tannahill: We began self-publishing in 2009. With a publisher, we might not be able to take an extra week to add something into the game that might make those core players very happy, just because it might throw us off schedule and delay the release date. We totally understand publishers have to get results in certain quarters, but we don’t have those pressures, so we felt that by doing it ourselves we could add all the little things that fans of the original game liked, while still making it different. We wanted to take as much time as we needed with it, and we can only really do that through self-publishing. But it’s a lot of work, and the expenses involved in going to shows or setting up press tours is considerable. We don’t have a bottomless pile of money, so the game will definitely be out by the end of this year. There’s also a lot of business-side stuff which is the reason I was hired. Normally our lead designer would have to take care of that, which sort of detracts from the job of designing the game! The PR and marketing is a huge ask – there’s the expense there, and it’s a lot of legwork. You have people here doing the same roles a publisher would have, ‘cos selling your game is just as hard as making it sometimes. We’re not tiny – we are about 20 people working here – but it’s basically two jobs. That’s why we admire people like Vlambeer, studios like that, they are so small yet manage to get games out there in a way that keeps them alive. The advantage [of self-publishing] is that you can just talk to people directly, and know what they are thinking. You can give players and YouTubers builds, and get direct feedback without having to go through the publisher layer. It’s better for press too – you guys can just talk to us directly, and there’s no red tape which is nice. 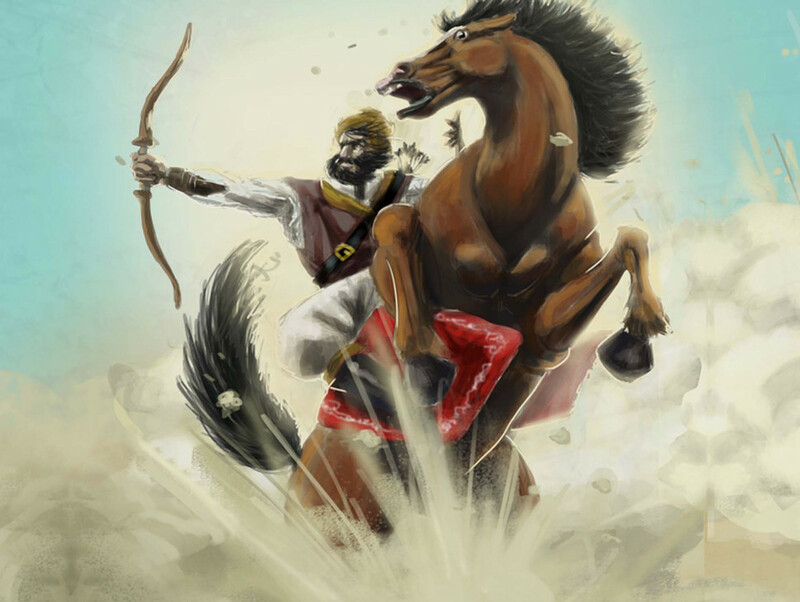 Q: Did I see that you were attempting to partly crowdfund Crusader II via Gambitious as well? Tannahill: A few friends set up Gambitious, and we managed to raise $50,000 which was great, but we didn’t hit our $100K mark. It’s a shame really, because there were a couple of features where we would have liked to have brought in some additional staff to get finished before release. Those things will have to pushed post-release. But it was really good for connecting people, and luckily it wasn’t a make-or-break situation. We’ve got a load of content in the game. It was mainly things like we wanted to do extra tactical powers – those are going to be post release now. It will all be free, we won‘t charge for it. Q: Gambitious is equity-based, right? So backers see a tiny piece of revenue if the game sells? Tannahill: Yeah, but our project was strictly rewards-based a la Kickstarter or IndieGoGo. Q: Did you consider using Kickstarter for wider exposure? Tannahill: It’s tempting with all these things to go, “Oh, if we went to Kickstarter it’d be all rosy”, and maybe we would have got funded there. But honestly, it was quite a lot of work – running a crowdfunding campaign takes a lot out of you – and because it wasn’t make-or-break we felt like we’d tried it and we just wanted to concentrate on getting the game released. That was less than a year from release, so we felt the whole team needed to knuckle down and get it finished. After Stronghold 3, we needed Crusader II to be absolutely 100 percent stable, bug-free, and balanced as well. Crusader 1 was a great game, but there were some units that were far too overpowered like the horse archer, so we definitely want to spend three to six months balancing and play-testing. So we shifted all our attention to the game. Because of the need for interviews and assets, regardless how many marketing people you have, crowdfunding is something that involves the whole studio. 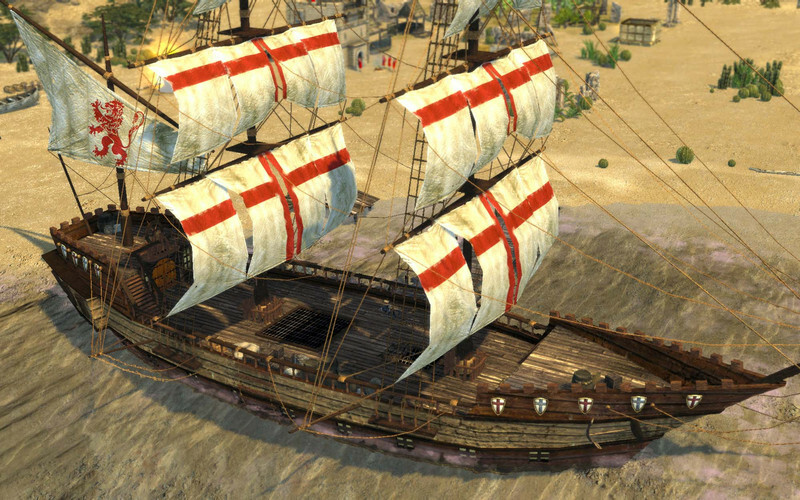 Q: Did the studio ever consider going the free-to-play route with Crusader II? Tannahill: We’re kind of like [Planetary Annihilation and Monday Night Combat developer] Uber Entertainment in that we have traditional box products like Crusader II and Stronghold 3, and we also have free-to-play games like our MMO Stronghold Kingdoms, which has been on Steam over two years and been doing really, really well for us. It basically generates revenue every day, rather than the traditional funding model which is milestones. So instead of being vaguely sure we’re gonna get paid every quarter, we have guaranteed income every day, and that makes a huge difference to our mentality. "You do get PC titles coming out these days that are riddled with bugs at launch." We can be flexible in terms of adding new features, or reallocate resources to a particular part of the project and kinda make our own calls. It’s been really, really good. We were in a very dark spot in 2008 when funding fell through for our ARPG Dungeon Hero. The company really strongly downsized to a skeleton crew of 4-5 who prototyped Kingdoms very quickly and released it just to see what would happen. And it’s turned out to be the saving grace for the company, and has allowed us to get back up to full strength. Q: Firefly has had rousing success with a couple of Stronghold games, while others have been less well-received. What has it learned along the way? Tannahill: I think we learned what fans really like about the game. We had a game called Stronghold Legends which had a fantastic combat system but it failed to perform commercially because it didn’t stick to the core Stronghold tenants of realistic, historical RTS – it sort of veered into the fantasy realm. We learned with Stronghold 3 that if we wanna do a sequel it needs to be solid at launch. It needs to work, be completely balanced and bug-free. You do get PC titles coming out these days that are riddled with bugs at launch and get better over time. But for us – especially in the situation we are in now, able to publish our own games – we kinda feel like the people who have been sticking with us deserve a game that feels really solid out of the box and even has a layer of balance the original Crusader didn’t have. Stronghold 2 taught us that the more complete the game is in terms of modes and features, the better it will be received. If you’re selling a game at full retail, people feel like they should get a full game in terms of content. We definitely applied that to Crusader II – it’ll have story campaigns, free builds, multiplayer, skirmish, co-op – it’s a full game in terms of content. Q: What’s new since Crusader 1? Q: Would you call Crusader II a castle sim? Tannahill: We’re calling it a castle sim on the box because that’s what’s been there the whole time, but it’s kind of a mix between city builder and RTS. You can’t just select the barracks, hammer away, and create a huge army that way – you have to have peasants to convert into knights, you have to have their armour, their weapons, a bit of gold. It’s less focussed on simulation than the main entries in the series and that’s something I personally prefer, because I like knocking down the other guy’s castle and destroying his buildings and killing his lords. It’s definitely a city-builder with an RTS shell around it, because at its core you have a population you need to keep happy, and the castle is at the centre of everything. Q: Tell us about the map editor. "We have guaranteed income every day, and that makes a huge difference to our mentality." Tannahill: So the map editor is going to be the same kind of tools we use to create the game’s maps ourselves. It’s going to be fully integrated to Steam workshop, so it’s going to be very easy to upload and share maps. Anything done in our campaign can be done by the community – they can morph land, place buildings wherever they want, create bodies of water, set the game at any time of day they want. We made the decision to make it exclusive to Steam because it has a lot of stuff built-in that we don’t have to dedicate coder time to such as multiplayer matchmaking and map sharing. Q: Where do castle sims sell well? Tannahill: US is our biggest market, followed by the UK, Germany, France, Poland, Russia, Oz and New Zealand as well. So there are quite a few European markets in our top five. But I think the main thing that drives them is that castles are universally appealing. Maybe the US doesn’t have those kinds of things on their doorstep, so maybe they find the idea of castles and chivalry and knights and archers and lords and ladies quite interesting. Q: Have you nailed down a release date yet? Tannahill: We are still committed to our late summer [late winter here] release window. Before we specifically mention a date we wanna be 100 percent sure we’ll meet that date. Things fans are asking us to put in the game are getting fewer and fewer, so in terms of the little things that Crusader 1 fans want in the game that could delay it, those are getting much fewer now. Once we do announce a release date we want it to be absolutely final. Sequel almost ready for battle.